Those from which you want to copy metadata - "the source files"
Those to which you want to paste metadata - "the target files"
For "Copy metadata from files of this type", the first drop-down box, select the file type which has the metadata that you want to copy. 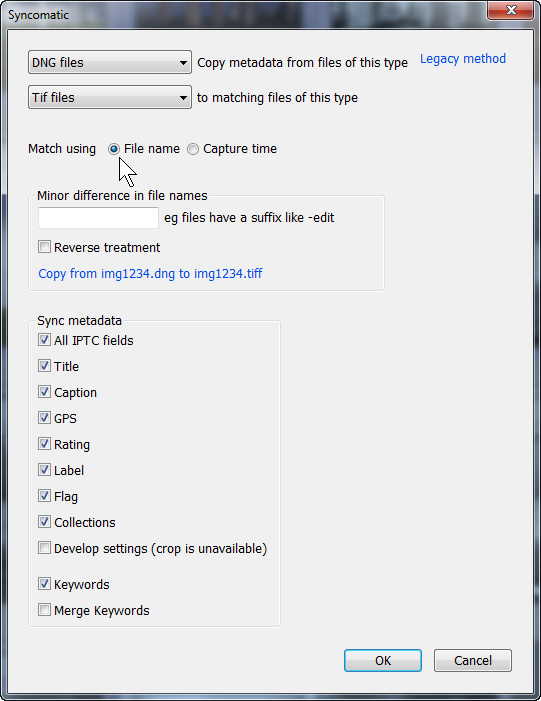 In the second drop-down box "to matching files of this type", choose the file type whose metadata you want to update. By default, Syncomatic updates all IPTC and IPTC Extension fields. If you want, you can untick Ratings, Labels, Title, Caption and Keywords. Syncomatic can update Develop adjustments - just tick the box. Merge Keywords means that Syncomatic will add keywords from the source files to the keywords already applied to the target files. If this is unchecked, any existing keywords in the target files will be removed. 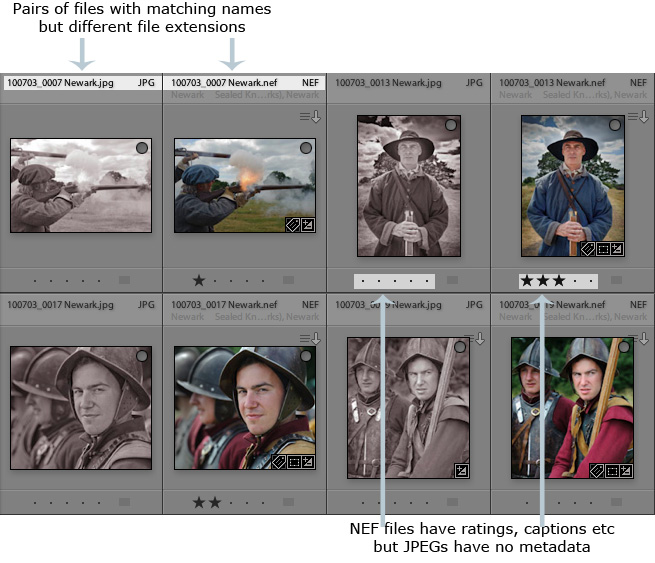 Note that Syncomatic can't update crop and rotation values because this isn't allowed by Adobe's approved method of updating a Lightroom catalogues. 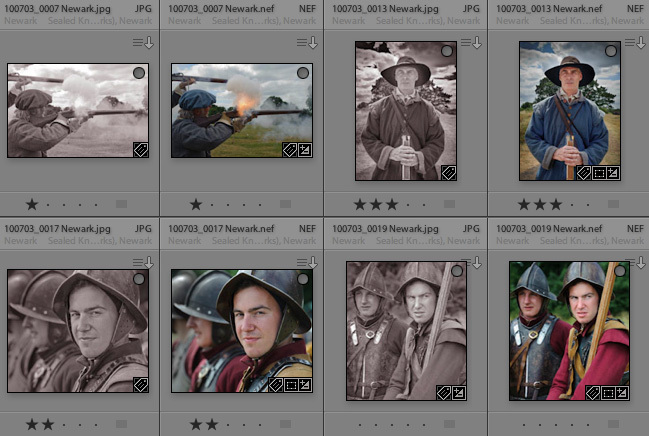 Notice how the JPEGs now have ratings which match the raw files.